...well at least KSLA and KTBS. It did bother me that the Met on KTBS was apologizing for breaking into programming to cover a tornado warning for the Linden, Texas area. Ron Young was on the air for awhile covering the lone storm trekking across Northeast Texas. KTAL, well they dropped the ball, just ran their crawl on the screen..
Arkansas Business.com reports Nick Genty has been named News Director at KATV. Gentry joined KATV as Assistant ND earlier this year from KTHV. Merideth Mitchell now on, on Channel 11...she seems lost. 245: Ed finally arrived a few minutes ago. 11 is my choice for severe weather but come on, put a METEOROLOGIST on the air during severe weather. 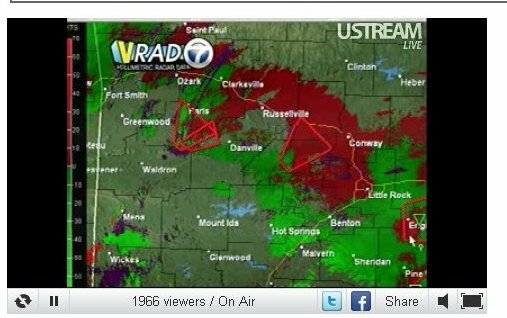 Well it looked like all the Little Rock stations were on the ball Tuesday night as severe storms pounded the state. All the Little Rock stations had their weather teams in place providing wall-to-wall coverage as the storms mached across the state. Will say Channel 11 needs to give Ed some help. Some times it to the point he just loses his voice with no one to fill the gap. Like I said the other day, KTHV needs to hire another met that is strong in severe weather to bring in and help Ed. The losers were the Shreveport stations....come on guys! A tornado is blowing its way across SouthWest Arkansas...and quite frankly you didn't give a damn! Sure you had your crawls across the screen but a tornado warning warrants coverage to let viewers know where it is...where it is going. You dropped the ball..all of the Shreveport stations did!! Somebody at KTAL is asleep at the wheel. They reran an entire episode of Wheel of Fortune Monday night...it had already aired last Monday. Looks like no one there even noticed. Maybe they should move control to KARK. 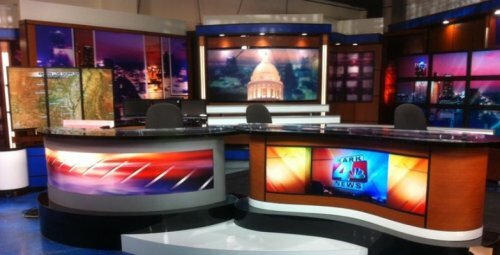 KARK officially debuts HD newscasts this Wednesday at 5pm! Are the Network Evening Newscasts Really Dead? Viewership for the four network newscasts has actually increased by more than 1 million since 2006. Yes, four newscasts: I have included “Fox Report With Shepard Smith” because the Fox News Channel, alone among cable networks, has a newscast of record and because it’s an option for viewers repelled by Couric’s so-called liberal slant. Viewership over the half-decade has gone down at the two networks with female anchors and up at the two networks with male anchors. In fairness to Diane Sawyer, “ABC World News Tonight” lost a lot of its audience in the waning months of Charlie Gibson’s time there, and her audience has actually leaped up by 1.2 million viewers in 2011. Even more impressive is the gain of 1.3 million viewers this year by “NBC Nightly News,” anchored by Brian Williams, who in 2009 took back the mantle from Gibson as the most-watched news anchor. 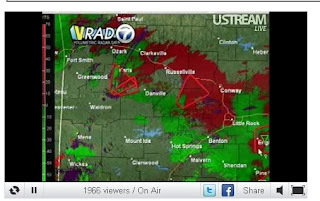 Well it took a bit for the Little Rock channels to go into full severe weather mode. KARK had Brett Cummins on the air along with weekend met updating viewers. Todd and Ned were on for KATV, proving their skills. KTHV had Merideth Mitchell on for the first half hour or so..touch and go. Was quite strange, Channel 11 would be in the middle of severe weather coverage then all of a sudden go back to regular programming. At around 11..or maybe even 1130 Ed Buckner (who was suppose to be on vacation) came in and anchored coverage. Hmmmm, Channel 11 needs to invest in another Met that's capable of carrying the coverage when the main Mets are off/vacationing. All in all I would say Channel 7 had the best coverage tonight....KARK second..and sorry Channel 11 last...mainly due to thier slow start. KHBS/KHOG-TV is expanding their weekday morning news. Starting Monday, April 18th, 40/29 News Sunrise will start at 4:30am. Anchor Derek Burleson, and Meteorologist Matt Devitt will be joined by a team of field crews who will be providing live updates of overnight news events, along with preview coverage of significant local news stories throughout Fort Smith, The River Valley and greater Northwest Arkansas. “As the lifestyles of our viewers change, the news we deliver must change with them,” said 40/29 President and General Manager, Brian Sather. “Not only will our early morning viewers get local news earlier, but we’re adding resources to provide them more local news and weather,” added 40/29 News Director, Dawn Dugle. This from the tip jar:Heard from a reliable source that long-time anchor Sherry Talley from KTBS is Shreveport packed her desk up and left the building stating "she can't take this anymore". She's done this before and some say it may be a ploy to get more $$$ but those close to the source say KTBS management is cutting back & consolidating duties to the point that the strain is showing. A tipster says, KARK is planning to go HD this Sunday night. Can anyone down in Shreveport tell me why the Tim Fletcher Show is on instead of Good Morning America on KTBS? I always watch Today's THV 2 when I'm at the computer and the news is on..and at noon today Tom Brannon read an email from a viewer who griped about him interrupting the Young and Restless for severe weather coverage. Brannon read the email on THV 2 while the broadcast watchers saw commercials. All I've gotta think is how big the can of worms is since the public has the ability to send emails to the news anchors/weathermen/reporters. I bet they get some interesting emails. Well I can't find the Facebook post right now but this morning I read a post on KARK's page that it will debut in HD next week. 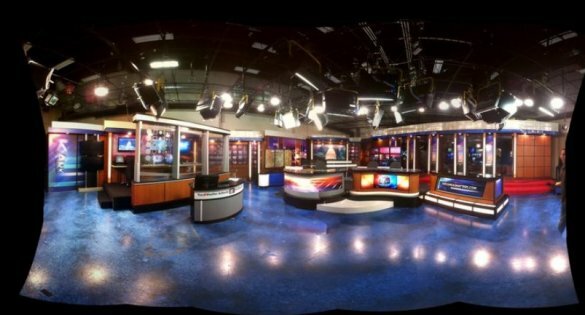 KARK will be the third, behind KLRT and KTHV, to broadcast local news in HD! This from the tip jar: KTBS is moving Jeopardy as a lead-in into their 5pm news due to higher ratings than Inside Edition. Arkansas Business.com has the complete numbers HERE. 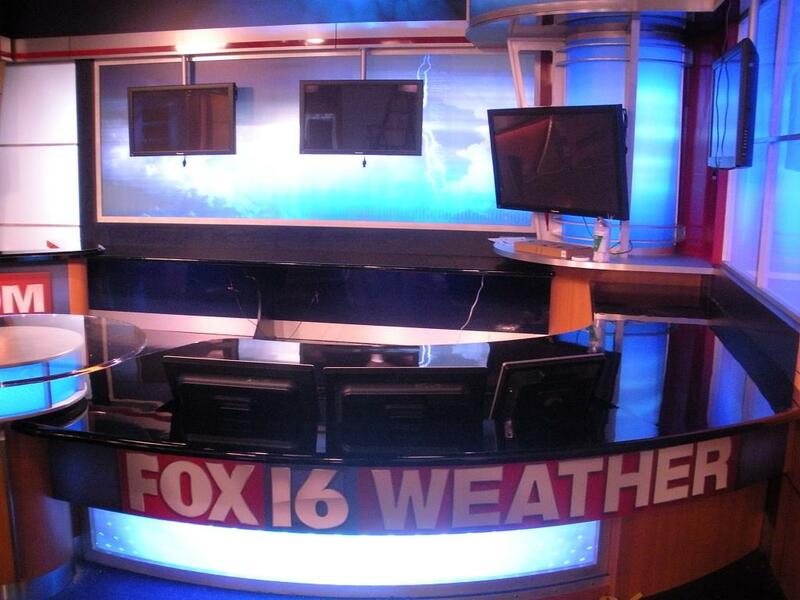 This from a tipster: KTAL will begin broadcasting most syndicated shows in HD by July. HD News will follow soon after that. This from the tip jar: Nexstar is at it again. 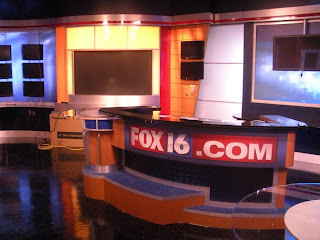 Today Nexstar officially announced it is laying off all of the Master Control Operators in Shreveport and Monroe, and shipping all of the Master Control operations to the hub at KARK in Little Rock. These newest lay offs take effect at midnight July 1st. Source: TV Week Katie Couric is hinting that she knows why her CBS “Evening News” telecast has struggled in the ratings. In an interview with The New York Times Magazine, Couric indicates the reason for her third-place finish among evening news broadcasts might have something to do with the local news lead-in on CBS stations. Asked why she thinks her broadcast remains in third place, Couric responded, "I believe we were in third place for 13 years before I got here, and I think habits, particularly with an evening news broadcast, move at a glacial pace. And I think that local news stations have something to do with it." But Couric backed off when asked whether she meant local affiliates weren't providing a strong enough lead-in. "Some people have said that local news is really important in terms of lead-ins,” she said. “I haven’t really analyzed that. I’m just saying what I’ve read or some of the theories about it." A tipster left this in the tip jar: KLRT Fox 16 News goes HD today (Tuesday 4/5/11) at 5PM! 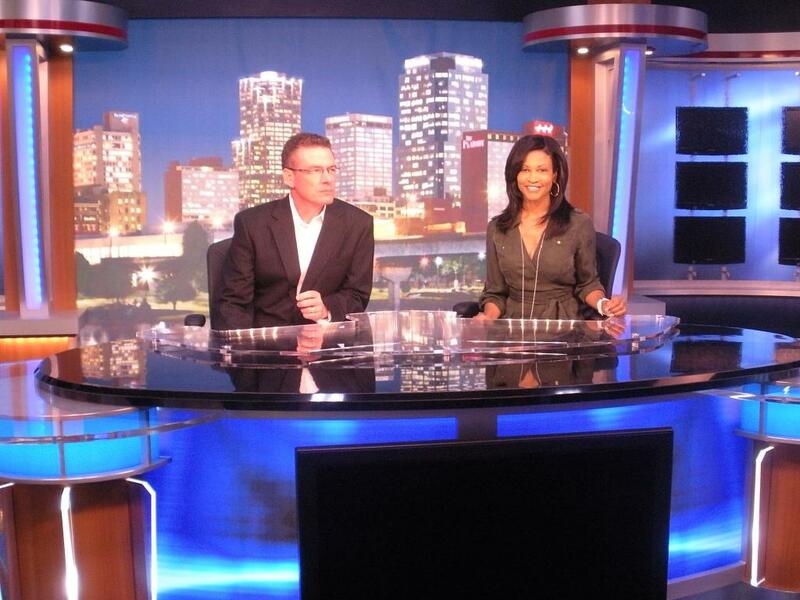 This from the tip box: KSLA, Channel 12 has a new Met, his name is Kevin Roth. SPOT NEWS: 1, Staff, KHBS-KHOG, Fort Smith, "Cincinnati Tornado 5 PM;" 2, Staff, KFSM, "Deadly Tornado in Cincinnati 12/31/2010." NON-SPOT NEWS: 1, Jo Ellison, Kenny Knutson, KHBS-KHOG, Fort Smith, "Man Hole Burglars." No second place awarded. ENTERPRISE/INVESTIGATIVE: 1, Diana Davis, Laura Gunter, KAIT, Jonesboro, "Co-sleeping Baby Dangers." No second place awarded. ELECTIONS: 1, Staff, KFSM, Fort Smith-Fayetteville, "November 2, 2010, 10 PM;" 2, Kyle Cabodi, Staff, KHBS-KHOG, Fort Smith, "Lincoln Ad Truth Test 10 PM." FEATURE: 1, Mitch Roberts, Brandon Hartung, KFSM, Fort Smith-Fayetteville, "Family Meets for the First Time;" 2, Mallory Cooke, David Strassle, KFSM, Fort Smith-Fayetteville, "Santa Mail Carrier;" Honorable Mention, Robert Boyd, Brandon Hartung, KFSM, Fort Smith-Fayetteville, "Missionaries Return Home from Haiti." DOCUMENTARY: 1, Diana Davis, Laura Gunter, KAIT, Jonesboro, "Bus Accident Anniversary;" 2, Staff, KFSM, Fort Smith-Fayetteville, "Caves of NW Arkansas." CONTINUING COVERAGE: None awarded because of lack of entries. SPORTS COVERAGE: None awarded because of lack of entries. SPORTSCAST: 1, John Engleman, KFSM, Fort Smith-Fayetteville, "December 31, 2010;" 2, Mark Lericos, Derek Burleson, John Laws, KHBS-KHOG, Fort Smith, "Friday Night Frenzy 10 PM." WEATHER: 1, Garrett Lewis, KFSM, Fort Smith-Fayetteville, "March 31, 2010, 10 PM;" 2, Drew Michaels, KHBS-KHOG, Fort Smith, "Super Dopler Forcast 5 PM." SPOT PHOTOGRAPHY: None awarded because of lack of entries. NON-SPOT PHOTOGRAPHY: 1, Brett Rains, KHBS-KHOG, Fort Smith, "Veterans Day 5 & 6 PM;" 2, Diana Davis, Laura Gunter, KAIT, Jonesboro, "Co-sleeping Baby Dangers." 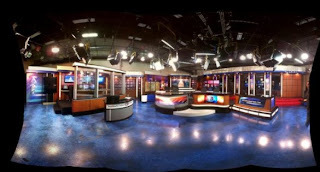 NEWSCAST: 1, Patrick Clark, KHBS-KHOG, Fort Smith, "News at 10 PM;" 2, Staff, KFSM, Fort Smith-Fayetteville, "March 31, 2010 6 PM." Source AP: Here's the complete list of winners in the AP awards. All of this year's winning stations are in Little Rock. SPOT NEWS: 1, Staff, KTHV, "Albert Pike Flooding;" 2, Kelly Dudzik, Chance Horner, KLRT, "West Memphis Shooting;" Honorable Mention, Staff, KTHV, "Air Evac Crash." NON-SPOT NEWS: 1, Ashley Blackstone, Kenny Reynolds, KTHV, "It's Gone;" 2, Kelly Dudzik, Chance Horner, KLRT, "Royal Oaks Apartments." ENTERPRISE/INVESTIGATIVE: 1, Pamela Smith, Mark Farrell, KATV, "Weather Radio Tower Down;" 2, Pam Baccam, John Young, KTHV, "The Courage of Charleston;" Honorable Mention, Craig O'Neill, Kenny Reynolds, John Young, Nick Genty, Kelly Tibbit, KTHV, "The Great Hang Up." ELECTIONS: 1, Mark Farrell, KATV, "U.S. Senate Debate;" 2, Staff, KTHV, "Coffee with the Candidates." FEATURE: 1, Liz Massey, David Craft, KTHV, "Hope Outdoors;" 2, Christina Munoz, KATV, Frozen Woman. DOCUMENTARY: 1, Ebone Monet, John Young, KTHV, "Kipp Delta;" 2, Ashely Blackstone, Kenny Reynolds, KTHV, "Cold Case Solved: Goldie Thornsberry." CONTINUING COVERAGE: 1, Staff, KTHV, "Air Evac Crash;" 2, Kelly Dudzik, Chance Horner, KLRT, "Murder Escapes/Captured." SPORTS COVERAGE: 1, Morgan Adsit, KLRT, "No Boundaries;" 2, Charles Crowson, Kenny Reynolds, KTHV, "Two in Three Strokes;" Honorable Mention, Chris Scott, KATV, "Hogs in the Rock." SPORTSCAST: 1, Steve Sullivan, KATV, "Oct. 22, 2010, 10 PM;" 2, Morgan Adsit, KLRT, "December 24, 2010." 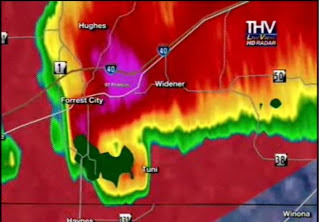 WEATHER: 1, Ed Buckner, KTHV, "Today's THV Weather;" 2, Todd Yakoubian, KATV, "August 8, 2010." SPOT PHOTOGRAPHY: 1, Larry Potter, KATV, "Pine Bluff Standoff;" 2, Chance Horner, KLRT, "Truck in House." NON-SPOT PHOTOGRAPHY: 1, Kenny Reynolds, John Young, Nick Genty, Kelly Tibbit, KTHV, "The Great Hang Up;" 2, Kenny Reynolds, KTHV, "It's Gone. ;" Honorable Mention, Kenny Reynolds, KTHV, "Damien Echols." NEWSCAST: 1, Candi Carney, KLRT, "Murderer Escapes/Captured - 10 PM;" 2, Staff, KATV, "December 14, 2010." WEBSITE: 1, Staff, KTHV, www.todaysthv.com,; 2, Scott Munsell, KATV, www.katv.com. Spot News, Staff, "Albert Pike Flooding"
Non-Spot News, Ashley Blackstone, Kenny Reynolds, "It's Gone"
Feature, Liz Massey, David Craft, "Hope Outdoors"
Documentary, Ebone Monet, John Young, "Kipp Delta"
Continuing Coverage, Staff, "Air Evac Crash"
Weather, Ed Buckner, "Today's THV Weather"
Non-Spot Photography, Kenny Reynolds, John Young, Nick Genty, Kelly Tibbit, "The Great Hang Up"
The station also won the Associated Press Sweepstakes Award for the most award winning stories in 2010 in its class. 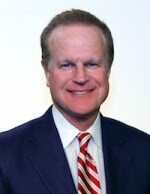 As reported here first...KTHV General Manager Larry Audas announced he is leaving the station today. Arkansas Business.com reports Audas will be moving to Greensboro, North Carolina to head Gannett owned WFMY.